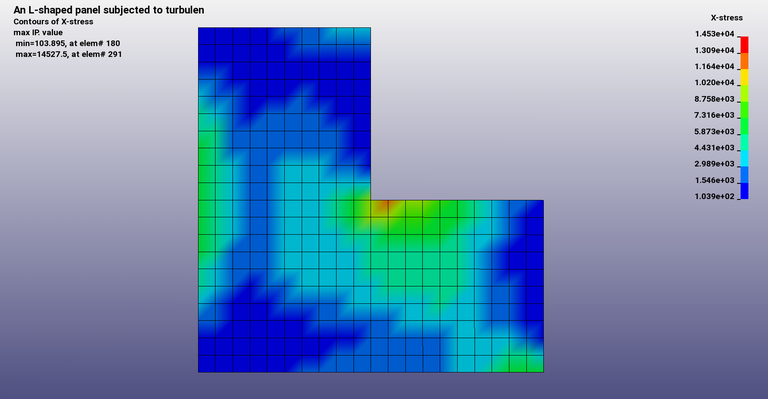 This is an example of a L-shaped panel subjected to random vibration with pressure preload. The first file shows the usual setup without preload. *INTERFACE_SPRINGBACK_LSDYNA is used to create a dynain-file, which is then the basis for pre-stress analysis with *INCLUDE. In addition, usage of intermittent eigenvalue analysis is shown. In the file domgeom.k the domain decomposition can be studied. 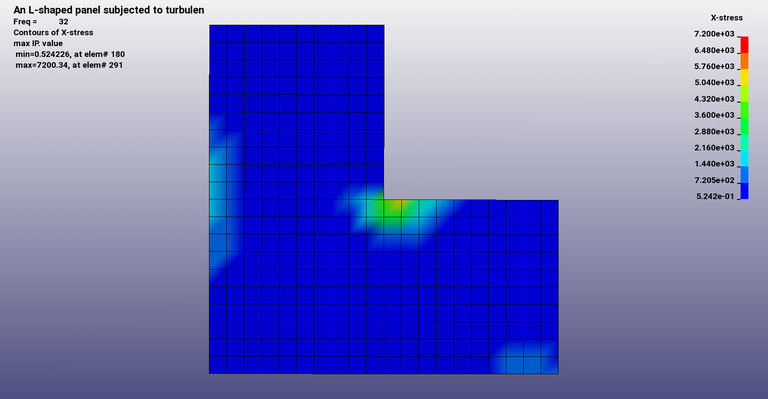 Example 6.5 from LS-Dyna training class NVH, Fatigue and Frequency Domain Analysis with LS-DYNA by Yun Huang.